On July 19, 1963, Joe Walker flew a North American X-15 to a record height of 347,800 feet. Under international convention, this constitutes spaceflight. He was also the first man to fly into space twice. 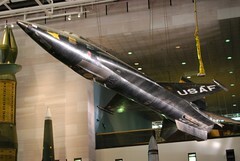 Joe Walker’s test flights were beneficial to NASA and the entire space program. It was only six years later that NASA successfully reached the moon. On July 21, 1931, CBS’ New York City station began broadcasting the first regular, seven day a week television schedule in the U.S. By the end of the year, CBS was broadcasting for seven hours a day, seven days a week. Now you can buy a set of knives or a juicer through the Home Shopping Network twenty-four hours a day, every day. 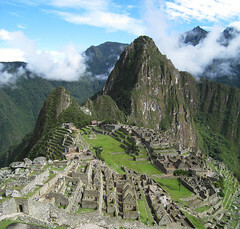 On July 24, 1911, Hiram Bingham III rediscovered Machu Picchu, more commonly known as the “Lost City of the Incas.” The city was built in the 1450’s, but was abandoned only a hundred years later during the Spanish conquest.